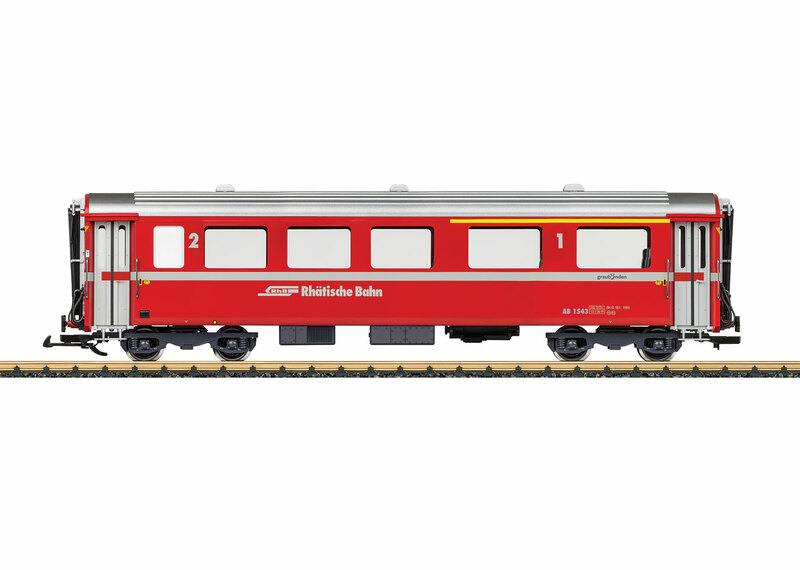 This is a model of an RhB express train passenger car, 1st and 2nd class. The paint and lettering are prototypical for Era VI. It has complete interior details and interior lighting. The current pickup is done with ball bearing wheelsets. The doors can be opened and the car has metal wheelsets. Length over the buffers 62 cm / 24-3/8". A 2nd class car to go with this car is available under item number 30676.